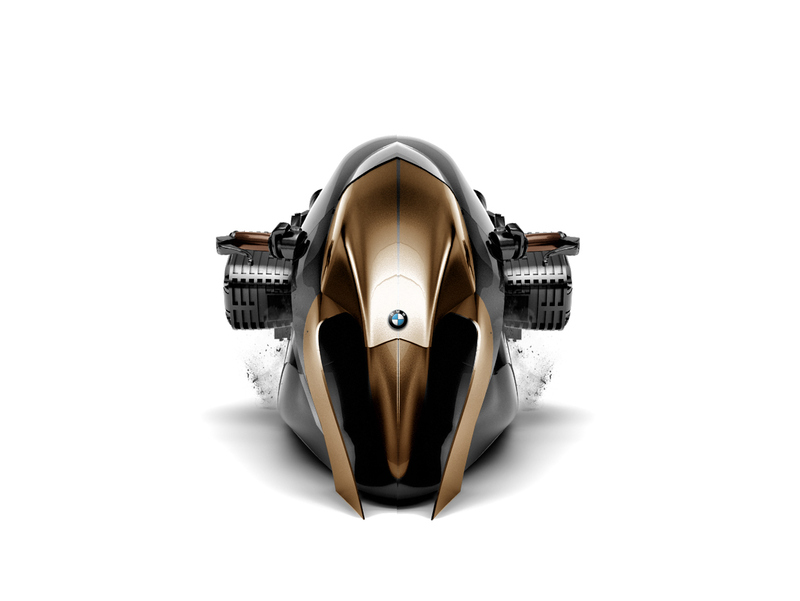 BMW, perhaps more than most other longtime auto manufacturers, embraces odd designs and out-of-the-box concepts. You don’t need to look far in the company’s lineup to see some incredibly unique design choices, but every company has its limits. That’s why you’re absolutely never going to see the BMW R1100R KHAN concept cruising down your city streets, but that doesn’t mean it’s any less awesome. The brainchild of Turkish designer Mehmet Erdem, the R1100R KHAN looks like something you’d expect to see in a modern day Tron reboot, but it’s actually designed with real world tolerances in mind. Featuring a massive rear wheel, forward-leaning rider position, and a big, beefy motor, and incredibly aggressive body, it’s a glorious example of what vehicles might be like if safety and practicality were thrown out the window. The original BMW R1100R was a fairly modest motorcycle, produced by the company for five years beginning in 1994. It featured a twin engine that put out close to 80 horsepower, and had a top speed over just over 120 miles per hour. 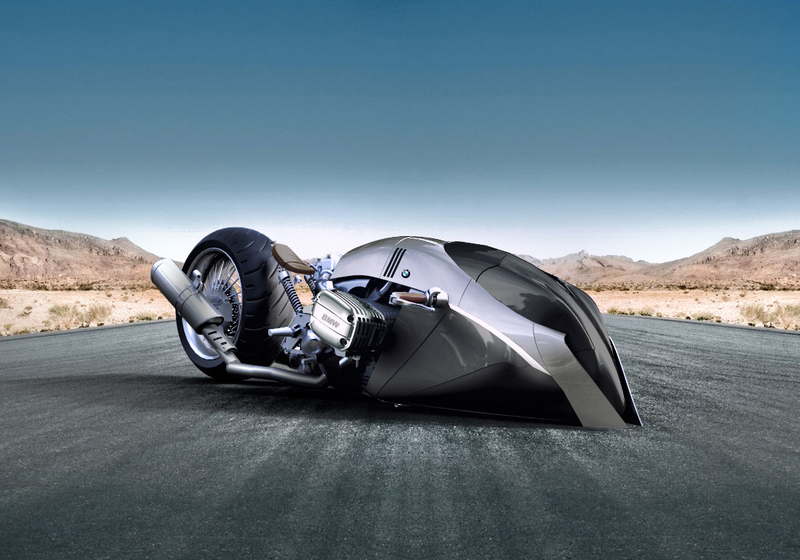 The reimagining of the bike as the KHAN concept changes things in a big way, trading the normal upright rider position for a forward-leaning posture that puts the rider’s head over the completely covered front wheel. The massive rear wheel spins just inches from the back of the saddle, so we’d recommend avoiding a long shirt. It doesn’t look like it would be the most comfortable thing in the world to ride, at least for extended periods of time, but it would probably a very exhilarating experience while it lasted. Just don’t slam into anything or you’d likely be launched like an arrow right over the Khan’s smooth body panels and windshield-free front section.